Over the last few months the GSPCA have had in intensive and medical care over 70 guinea pigs many of which were suffering from a fungus called ringworm. We were asked to help take in the poorly guinea pigs earlier in the Summer which have been under veterinary treatment and required quarantine care costing £1000's. Last month two baby guinea pigs arrived at the GSPCA after a lady who was gifted a female guinea pig was found to be pregnant and asked for our help. The two lovely little bundles of cuteness were named Choc Chip and Panda and after a short stay at the GSPCA were quickly found a loving new home. 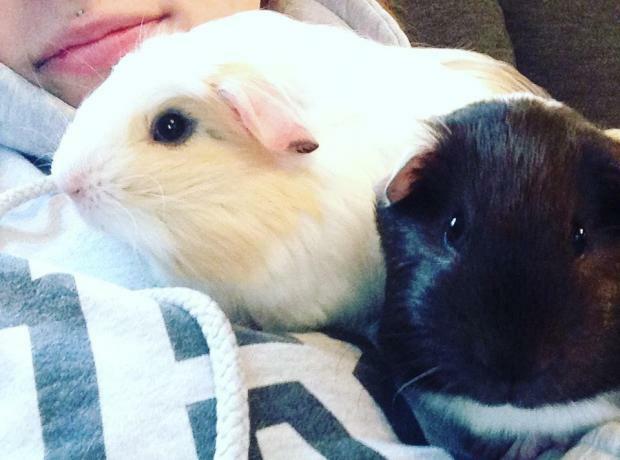 Were have just been sent this message from the lovely new owner "You may remember us as Choc Chip and Panda the tiny baby guineas, but we have had a little name change to Billy and Clive." Only half way through February and within two weeks we have rehomed an amazing 36 animals and birds. Pony the Peahen, Blacky the old hen, Abigail Angel, Frosty Lidea, Merci, Mistletoe, Polly, Roxie and Sherry the cats, Lucky, Meg and Storm the dogs, Baby Jusse, George, Goodie, Hope, Nat, Peace, Puffin and Spirit the guinea pigs, Ash, Brian, Chaos, Grumbles, Henri, Lewis, Lucy, Mo, Pedro, Ryan, Tosti and Woddy the hedgehogs and not forgetting George and Ringo the rats have all gone to new homes. 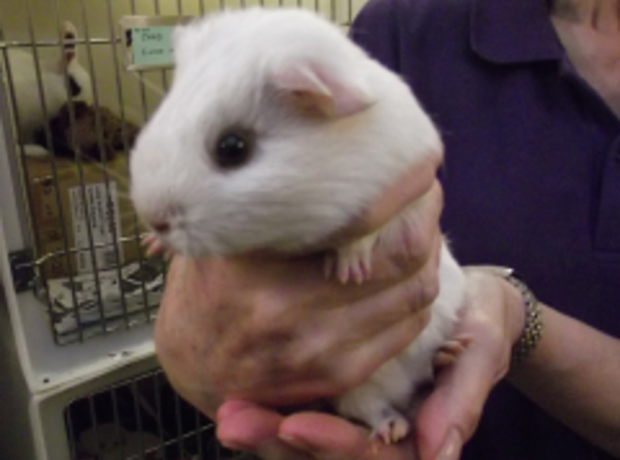 After a very busy start to 2012 with over 100 hedgehogs coming through the GSPCA Animal Shelter we have now found ourselves inundated with Guinea Pigs looking for new homes. 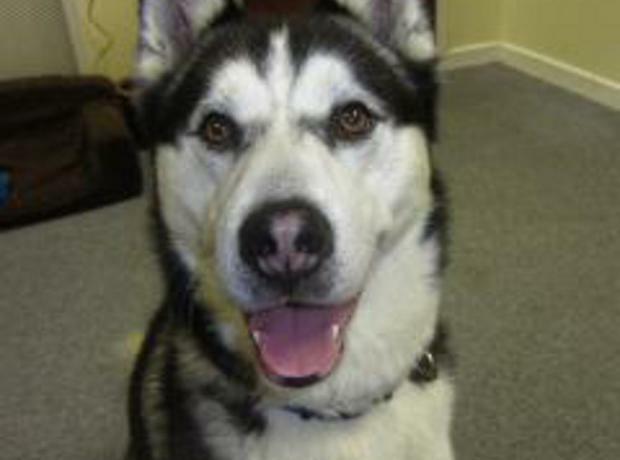 We always have lots of enquiries for our cats and dogs at the Shelter but many people still don’t realise the many other animals we have looking for new homes. 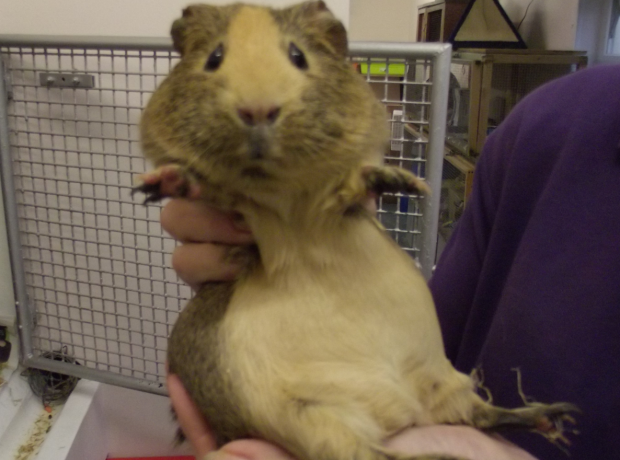 Winnie pictured above is just one of more than 20 Guinea Pigs looking for a new home at the Shelter. We also have many rabbits, rats and birds all in need of a loving home. From a bunny boom to a guinea pig bonanza the Animal Shelter is now inundated with over 20 rabbits, guinea pigs and rats in need of a good home. From strays, unwanted litters and those that cannot be cared for due to an owner’s change of circumstances or welfare reasons the Shelter is literally bursting with these little animals looking for new homes. Just last night another stray rabbit was found wandering and we urge any owners that lose their pets to ensure they register their details with the Shelter as we have stray animals brought in every day.